Do you have Metabolic Syndrome (Syndrome X)? What you need to know. Written by Catherine Saxelby on Wednesday, 12 April 2017. Made popular by many diet books, the Metabolic Syndrome (or Syndrome X) is a term we are hearing more about as it accompanies our 'obeso-genic' lifestyle . Our modern way of life where we don't move enough and where we eat too much, as well as the wrong types of foods. If you have been told you have Metabolic Syndrome then you’ve probably also been told that you need to exercise and lose weight. Here’s my take on what you need to know and what you need to do. The term Metabolic Syndrome refers to a cluster of risk factors that result in diseases such as diabetes, heart disease, polycystic ovaries, gallstones, cataracts and certain types of cancer. Researchers originally coined the term Syndrome X but later renamed it after they'd worked out it centred on one's metabolism and insulin resistance. Central to the Metabolic Syndrome is insulin resistance. The muscles become insensitive to insulin – the body produces insulin but the tissues and muscles don’t ‘recognise’ it. The body then responds by making more insulin and so levels build up in the bloodstream. Sugars in the blood are unable to ‘move into’ the muscles to generate energy as insulin is needed to ‘unlock’ the muscles to let it in. The two problems – resistance to insulin and a high level of circulating fats in the blood – are related. No-one knows for sure which comes first but either way, a good diet and exercise will help improve both heart and diabetes ailments. Losing excess weight about the stomach combined with regular exercise can lessen insulin resistance and improve the uptake of glucose by the muscles, which will prevent or slow the onset of diabetes. If you think this sounds like you, start today to improve your lifestyle and follow my suggestion below. Check with your doctor for more detailed advice. Pop diet books proclaim if you cut out carbohydrates, all your problems will disappear. Unfortunately it's not that simple. Rather than eliminating all carbohydrates, be selective. Choose less of the refined high GI types such as white bread, white rice, pastries, biscuits, muffins and some breakfast cereals and choose more low GI varieties such as whole grain breads, rye crackers, wholegrain breakfast cereals, pasta, fruit and legumes. People who eat more fibre-rich foods from fruit, vegetables, beans, wholegrain breads and bran cereals have fewer risk factors (cholesterol, blood pressure) associated with this Syndrome. There's no need to follow a Dr Atkin's high-protein, high-fat diet but boosting protein intake is helpful. A serve of lean protein such as canned tuna, lean red meat or chicken without the skin at meal times will give you greater satisfaction for longer and demand less insulin. This means you will be less likely to snack between meals, less hungry and have fewer swings in blood sugar. High blood fats and heart disease accompany the Metabolic Syndrome and need special attention. Keep total fat intake down to help with weight control and make sure the fats you use are healthy. Choose vegetable fats such as sunflower, safflower, canola or olive oil and spreads made from these. Omega-3 fats from fish are also important so try to include two fish meals a week (fresh or canned) whilst also trying out the new omega-enriched milks, breads and spreads. Exercise can prevent or reverse many of the unhealthy metabolic changes that contribute to this Syndrome. 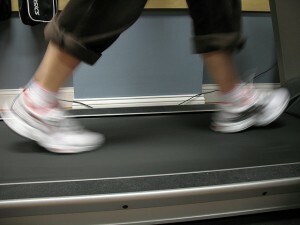 Increase your general day-to-day activity by using the stairs, walking to the shops and getting up to turn the TV off. Invest in a pedometer and start counting your steps - your goal could simply be to walk 1,000 more steps a day OR you could aim for 7,000 or 10,000 steps each day for weight loss. Physical activity. Don’t just watch it – do it! In 2005, the International Diabetes Foundation (IDF) published new criteria for metabolic syndrome. Zimmet P., Magliano D., Matsuzawa Y., Alberti G., Shaw J. (2005). The metabolic syndrome: a global public health problem and a new definition. J Atheroscler Thromb. 12, 295–300.